+Frank Mentzer 's Empyrea Fantasy Setting (for 10 RPG Systems) Kickstarter launched in the early hours of the morning and it is ambitious. I know many readers have been anxiously awaiting the launch of this Kickstarter and the wait is over. So, the big question - what do you get? * 350 pages or more; we reserve the right to add more cool stuff if we can. The bigger the Kickstarter, the more you get. The funding goal is a lofty $250k and the funding period is 41 days. Buy in for PDF is $50, physical boxed set is $75. This is gonna be...challenging to get to 250k. I wish him the best and I backed it at $75. I am interested but I first need to read the pitch, especially on the overlap/differences between the different systems they intend to support. As a huge Red Box fan, I really wanted to be excited about this. However, after looking over the page, nothing really interests me except the veteran names. * Bad graphic design. The headers and especially the main logo are pretty awful, and don't inspire faith in the finished product. There's a very "Bad 90's" feel to them. * Some of the art is not good - the one with the woman heading down the road is bad. * Pledge tiers are pretty crazy. $50 for a PDF and $75 for a box set is really steep. * I don't see much of anything *about* the setting here; there's a lot of time spent on the people who will be writing it, but not much time on the sales pitch itself. Why would I choose to run a game in this setting as opposed to any other? I mean, other than Darlene maps. * What will be the purpose of the system books? What is there in this setting that will require system conversions? This is not a good kickstarter pitch. I'm mostly with you, dwarf74. $50 for the PDF seems very steep. $75 for the boxed set feels a bit more reasonable to me given that it seems like there will be a bunch of components... but I feel like if I'm paying that much and getting the PDFs with it, it's a bit stingy not to let me have the PDFs of *all* the different system booklets. I quite like the picture of the woman going down the road, in a "Cheesy 1970s Michael Moorcock book cover/progressive rock album cover" sort of a way, likewise the logo. But "hilariously cheesy" probably isn't what they are going for. a) What the hell are the little brown booklets? They don't even have titles on in the mock-up photos. Supposedly they provide info for players and DMs alike; what information could there possibly be that it's fine to hand out to players but not fine to hint at to potential customers? b) To amplify your point, dwarf74... what the hell *is* this setting? What makes it different from any other setting built on the back of OD&D tropes? Yeah, yeah, sure, 40 years of play, fine - but how do those 40 years of play actually affect the setting? How could I tell this setting apart from Greyhawk, Forgotten Realms, Dragonlance, or whatever goofy setting I dreamed up when I was a teenager? "How could I tell this setting apart from Greyhawk....?" Theoretically this setting is PART of Greyhawk, or at least exists on the same world. That probably wasn't made clear because the KS doesn't want to get sued by WotC. I'd like more info on the setting before I can back. There just isn't much setting info in the KS pitch. Please provide more info. The logo is very busy, overly large and has too many colors and 2 different fonts. How are the various planets in Oerth/Greyhawk cosmology (I assume) important to this Campaign Setting? The girl walking down the road with the center dividing stripes suggests to me a fantasy post post apocalyptic setting ala the Shannara novels. The snippets of the maps they show also seem to be very old school. Maybe that is the vibe they're going for. But I agree, I am not feeling excitement yet about this project. This seems very pricey ($50 for a pdf, really ?) and there's no information about why this setting is different from the myriad others available apart from "People whose names you might remember from the old days write in it". What could possibly be in the System Book for S&W that isn't in AD&D one? S&W logo and the single save? Also, is there really going to much CMI in BECMI that would differentiate it from AD&D one? There is a lot of name dropping here but not much on what is actually special about the campaign setting itself. It doesn't even tell you what would require *any* kind of rules supplements in the first place. Give it time. Don't judge this so harshly right away. Let it breathe. That's kind of the opposite of what you need to do on a kickstarter. "Let it breathe" is good advice during the ideas stage and the lead-up. A kickstarter page should hit you in the face with its awesomeness - especially one looking for a quarter-million dollars. As much as $250k seems out of reach, it's already >$36k... in just a few hours. It's not unbelievable. 43k out of 250k on the first day is not a good sign. Who, me? No sarcasm. Kickstarters get almost all their funding on Day 1 and the last two days. There's a slump in the middle unless you have a killer campaign which keeps up a constant stream of BUT WAIT THERE'S MORE like 7th Sea 2E did. He is not getting another $200,000 in funding. I also just realized that out of the 50k funded at the time of my comment, 14k comes from 5 individuals : 1 backs it for 10 000$, and 4 others backs it at 1000$. Unless some crazy stuff happens to draw a lot more backers to the project, this is not going to fund. And indeed, a day later and the daily funding has already slowed to a crawl (and will probably slow down further in my experience). Ignore the "trending toward" figure - that's the weakest aspect of Kicktraq because it doesn't take the early funding burst into account at all. Look instead under the trending tab, where you can see already the "trending" total has collapsed from $2 million based on the first day to under $750K based on the first two-and-a-bit days. And the daily data for the second day is pretty woeful, with only 40 new backers signing up. Are the lambs still screaming Clarice? I'm in at $75, but I'll admit I'm not 100% confident it will fund as the goal is quite a lot of money. (1) The sentence immediately before the terrible picture of the woman walking down the road reads "From full-color imagery to clean inks, we’ve dared to reach for the Best". (2) From the Risks and Challenges section: "The Team have adapted as we've grown organically, but this is a Temp job for most. We have other jobs, and rich lives. Coordination and communication require constant vigilance for the next 9 months." (3) Mentzer *just* had a bizarre online meltdown a few weeks ago. Like some others here, I love BECMI and Greyhawk, and was looking forward to the Empyrea setting getting a release, but after seeing the Kickstarter pitch (and the meltdown), there's no way I'll back this. 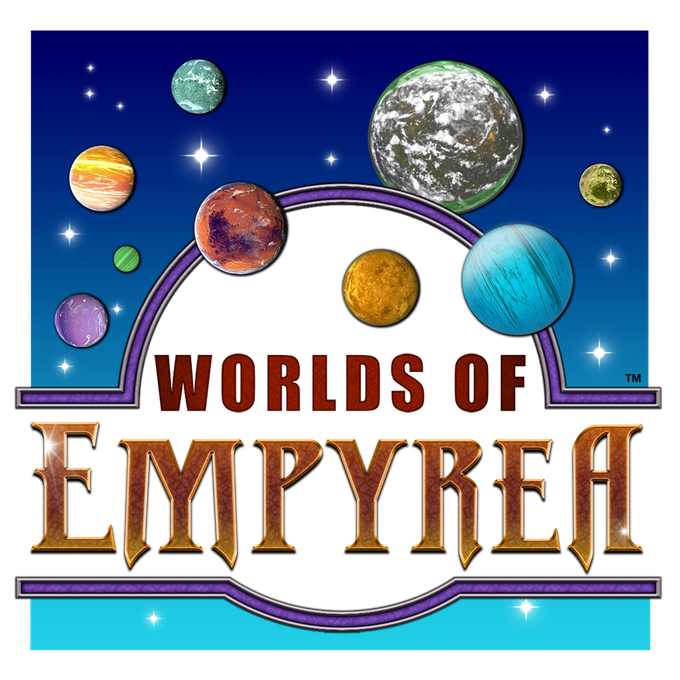 If Empyrea ever gets released commercially, I'll pick it up, but there's no way I'm gambling money on it in a Kickstarter. Agreed. It would need to generate 5k a day now to make its funding goal. As presented that may be a bigger challenge then they anticipated. I agree with most of your points but I do think Frank & co can be trusted to deliver more or less as promised *IF* they can get the funding. The big problems there of course are the awfully large amount of money they're asking for and as you've pointed out there's some questions about the final quality and what exactly it is they'll deliver. @Knighterrant: I want to have faith, but with that "other jobs and rich lives" line, the complete lack of famous name art in the pitch, the meltdown, and now that I think about it, the rules for ten systems (another alarm bell) I envision this being another years-overdue Kickstarter, if it funds at all. 50/75? That puts me out. Personnally, I won't back the project. It's way too expensive for me, and the "10 different systems books" is a red flag. It can only mean that each conversion is going to be very shallow, and for the more complex systems (Pathfinder, but also 5E, maybe Runequest), it's probably going to be unbalanced and sometimes incoherent with the setting. I know it's only a setting, without new races/classes etc., but still. And those systems are not all close cousins, like different OS(R) games. I mean, look at this : D&D 5E, Pathfinder, Runequest, Savage Worlds, DCC... Those are very different beasts. The funding goal also looks off. 250k is an awful lot of money for what they want to produce. To get some perspective, "Numenera 2" aims to produce two 416 pages long and richly illustrated hardback books in a slipcase, plus a small softcover and an ebook, all for *80k*. It's less than a third of what Empyrea asks for to produce a boxed set containing two maps and a total of 350 pages distributed among two softcovers, four booklets (system books and LBB). About the likelihood to fund, I looked on Kicktraq and compared this project to Stars Without Number:Revised edition, another OSR game created by someone with a great reputation and not counting on stretch goals to pull people in. SWN had a stronger first day, but Empyrea is in the same ballpark : 53 366$ vs 47 027$. If we suppose Empyrea gets on average as much money SWN got, so around 6200$ per day, it would barely fund. But with the weaker first day and longer funding period (meaning a lower average per day, since most money usually comes from the first and last days), that's a pretty big stretch. So in my opinion, unless something very surprising happens during the next month and gives a significant boost to the pledges, Empyrea is probably going to reach about 200k at best, still 50k shy of their goal. There is one other thing that is bothering me about this KS. Unless by Google-Fu is weak, I can't find anything about "Loxley, Inc." related to Frank Mentzer in a global business search. It really should be LLC which makes think it is Frank alone contracting out the various activities. Plus, the KS is being done in his name instead of established LLC. This means all funds would go to him as personal income creating a huge tax hit. If you took out all of the big names, this KS has the kind of red flags that you would expect Erik to highlight. May be so but there is no way to independently verify whether it is true or not. I should have stated "could" instead of "would"
There's some additional words from Frank relayed in the comments section by his Kickstarter PR guy. Some bits are making me raise an eyebrow. "I have my 40 years of notes used in running the actual campaign. Part of it is written in publishable form, but most of that work is yet to come." Oooooh boy, red flag right there. Frank addressed some similar skepticism and questions about what is written (and by whom) in the DF meltdown thread. He said, "Yes there are a lot of Famous People involved, yes there is a Large Organization behind this, and yes it will have a Very Large Impact. It grew; as I said, it started as just me. But I tried to make it possible for my old Dragonsfoot friends, and neighborhood, to get previews. I got skepticism instead. Guess you folks aren't used to Pro ops, too many amateur Kickstarters spoiling the broth. A shame." I don't know it's an apt comparison given the systems involved, but Ernie's Marmorial Tomb only raised half ($125,000) the funding amount ($250,000) this is seeking. Given this, I think ultimately it won't fund, and they'll have to retool and repost with a lower goal. Well, assume it is 250k in product with a 50% margin(optimistic). That leaves 125k to spend on man hours writing, design and art. How much are rpg writers supposed to earn? If this was IT you'd get about a 1000 hours worth of work. Assume rpg writers get a lot less, so you'd get 2000 hours. Would this be enough to make a box set like this? What about Eldritch enterprises what's the story there? There was an old post that was super similar to the empyrea spiel for that one, what became of it? Old post here at The Tavern? I don't believe I had much nice to say about the Eldritch line of releases and their awkward "non-OGL" stat block. I heard about it but never knew what became of it. Good find. That sounds the same : highly aspirational while low on content specifics. Every time the KS guys post a comment I see another red flag. But this most likely won't fund, so there's probably no reason to belabor it. Yep. I mean I've looked at a lot of Kickstarter for campaign materials and never seen one so barren of any examples or details of the contents.